Being childish doesn’t have to be a bad thing. 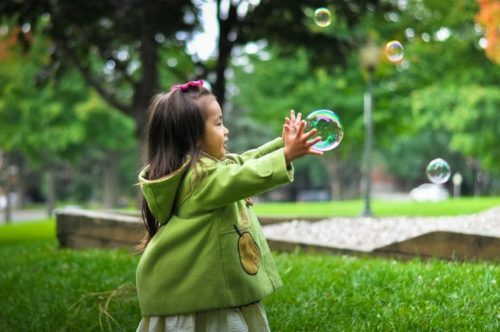 Embracing your inner child can even help improve your language skills. That’s because there are a lot of great learning resources out there intended for children. Not making use of the best resources just because they’re for kids would be immature! A lot of language students are learning a language by reading books, and children’s books are one of the best options out there. Whether you’re using German children’s books, French children’s books or Japanese children’s books, colorful, entertaining material in your target language that’s intended for children is a fun resource for easing your way into the written language. Dual-language children’s books are even better—after all, you have easy access to teaching-language text if you don’t understand something in your target language. In this post, we’ll look at 10 bilingual children’s books that’ll make you feel like a kid again! Why Read Dual-language Children’s Books? One of the more obvious reasons why you might want to read dual-language children’s books is that you want to give your child the gift of another language. Dual-language books are great for children, whether you’re learning with your child or just trying to help them learn. When the text is available fully in their native language, it’ll help clarify the meaning even if your child doesn’t yet know much of the target language or is still learning how to read. Whether or not you have kids yourself, you might try reading dual-language books for kids if you’re a beginning language student looking to jump into reading. They’re an easy, unintimidating way to transition towards reading more difficult texts. They work even better if you supplement them with audio and other engaging dual-language options like FluentU. FluentU takes authentic videos—like educational clips for children, songs, news and movie trailers—and makes them into personalized language lessons for learners of all levels and ages. What’s more, if you appreciate an extra dose of adorability in your language learning routine, this type of book is a resource you might want to consider using. If you’re a sucker for anything adorable, children’s books will keep you coming back for more with cute drawings and interesting characters. Amazon has everything, so it should come as no surprise that plenty of dual-language children’s books are among the offerings. To find them, all you have to do is search the name of your target language along with “dual-language children’s book” or “bilingual children’s book.” There are options for a wide variety of languages, so chances are good that they’ll have the right book for you. Language Lizard offers bilingual children’s books in over 50 languages, including uncommon options like Tigrinya. Each book comes in multiple languages, so if you’re studying several languages at once, you might even want to purchase several versions of a book. 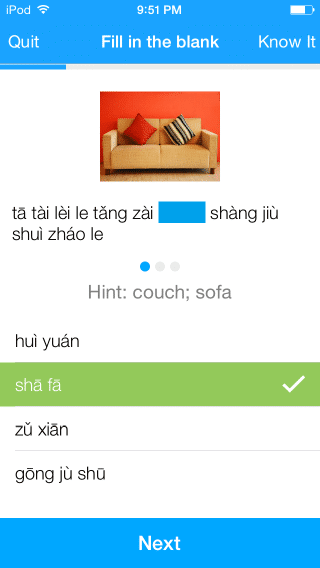 You can easily browse by language by simply selecting your target language on the left side of the screen. 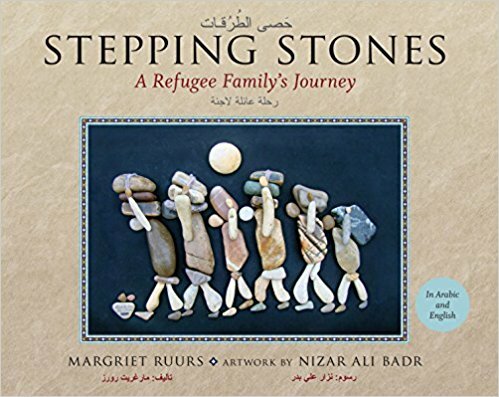 “Stepping Stones: A Refugee Family’s Story” uses Arabic and English to tell the story of a family fleeing their home during war. The content is timely and socially relevant. Additionally, the artwork by Syrian artist Nizar Ali Badr uses stonework, making it particularly innovative and visually appealing. If you or your child are learning Arabic, this is an excellent way to practice Arabic language skills while tackling an important topic. 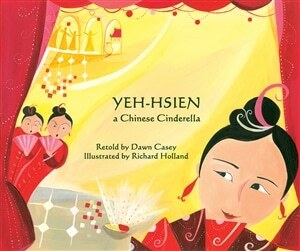 “Yeh-Hsien” or “Ye Xian” is a Chinese fairy tale that’s very similar to the story of Cinderella. However, the Chinese version, which is available in multiple language pairings from Language Lizard, including Chinese-English, likely predates the European tale. In this version of the tale, Yeh-Hsien is left living with a mean stepmother and stepsister. “Yeh-Hsien: A Chinese Cinderella” has some aspects Cinderella fans will be familiar with, like animal friends and special shoes, paired with some uniquely Chinese features. 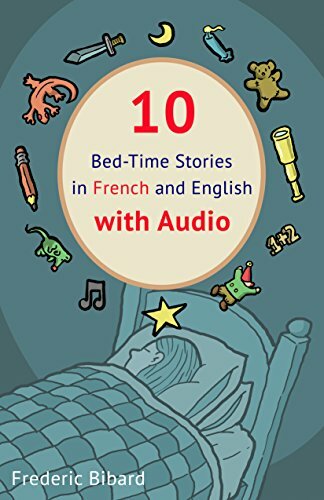 “10 Bed-Time Stories in French and English with Audio” includes short stories that children and adult readers will enjoy. Rather than featuring one language per page, this dual text switches between languages every few lines, making reading easier for beginning students. Plus, “10 Bed-Time Stories in French and English with Audio” comes with a free MP3 audio download in both English and French. This is a great way to connect words with their pronunciations or apply the dual-language experience to listening practice by listening in both languages. 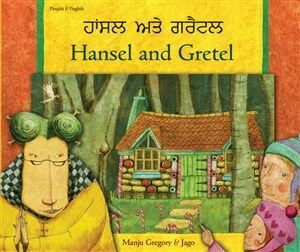 “Hansel and Gretel,” available in German-English and other language pairs, tells the well-known German fairy tale about a young boy and girl who stumble upon a house built of sweets only to be taken captive by an evil witch. The familiarity of the story combined with the vivid pictures will likely make the book easy for anyone to understand, regardless of language proficiency. 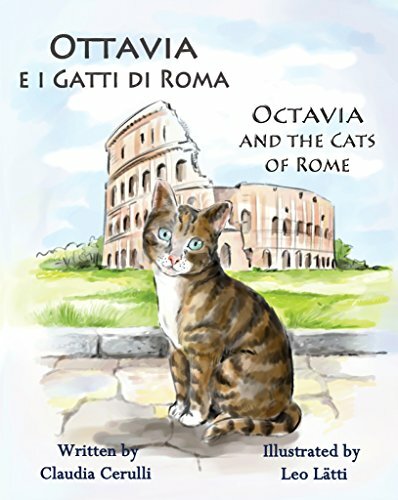 “Ottavia e i Gatti di Roma” (“Octavia and the Cats of Rome”) follows two cats on their adventures in Rome. It incorporates popular sites like the Colosseum, the Spanish Steps, the Trevi Fountain and the Mouth of Truth—kind of like “Roman Holiday” for cats! The feline adventure combines both culture and language for a rich learning experience. Plus, there’s a section to provide readers with additional information on sights, as well as a map to help readers visualize the layout of the city. 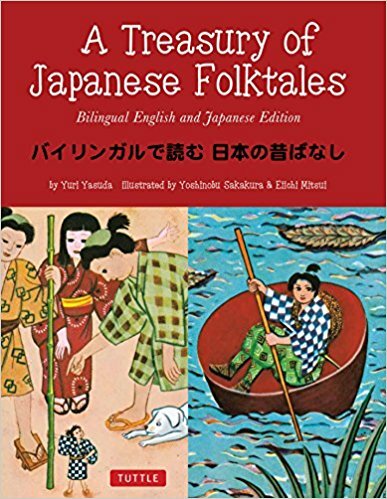 “Treasury of Japanese Folktales: Bilingual English and Japanese Edition” features 12 stories from Japan, including legends and fairy tales. The fantastical tales tell of princesses, cauldrons and even an underwater palace, making for a fun way to improve your Japanese. 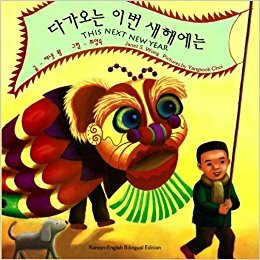 “This Next New Year” is a Korean-English bilingual text that follows a boy who’s excited about the Lunar New Year. It’s a useful way to practice your Korean while examining references relevant to New Year traditions, particularly Lunar New Year traditions, and it also features multicultural situations and characters, making it relevant in a broader social and cultural context. 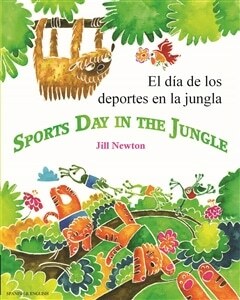 “Sports Day in the Jungle” is available in Portuguese-English and several other language pairs. It follows a sloth who can’t participate in the jungle games due to his slow speed. However, his unique skills may still prove useful. There’s plenty of animal vocabulary, which is good stuff for Portuguese students to learn. 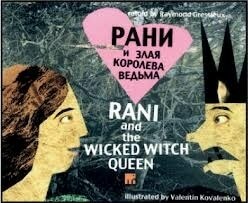 “Rani and the Wicked Witch Queen” is available in Russian-English and several other pairings involving Eastern and Central European languages. The story is based on a folktale of the Romani people, sometimes called “gypsies,” who historically traveled across Europe. In this story, Rani meets a prince, and the prince wants to marry Rani. However, a wicked witch stirs up trouble. 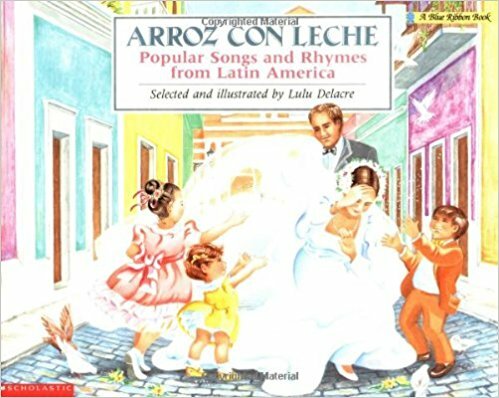 This book includes popular songs and rhyming texts from Latin America. Reading rhyming texts can be a helpful way to memorize additional vocabulary. Even if you can’t come up with a word right away, once you’ve memorized a rhyming text, it’s easy to think through that text to remember key words. While the book doesn’t come with audio, the songs are popular ones, so you can easily look them up and sing along. For instance, “Aserrín aserrán” (“Sawdust sawdust”) is available on YouTube. It’s time to be a kid again! Dive into these dual-language children’s books for a fun language learning experience. If you like learning with the books above, you’ll love using FluentU. FluentU makes it possible to learn languages from music videos, commercials, news and inspiring talks. FluentU has interactive captions that let you tap on any word to see an image, definition, audio and useful examples. Now native language content is within reach with interactive transcripts. Didn’t catch something? Go back and listen again. Missed a word? Hover over or tap on the subtitles to instantly view definitions. You can learn all the vocabulary in any video with FluentU’s “quiz mode.” Swipe left or right to see more examples for the word you’re learning. And FluentU always keeps track of vocabulary that you’re learning. 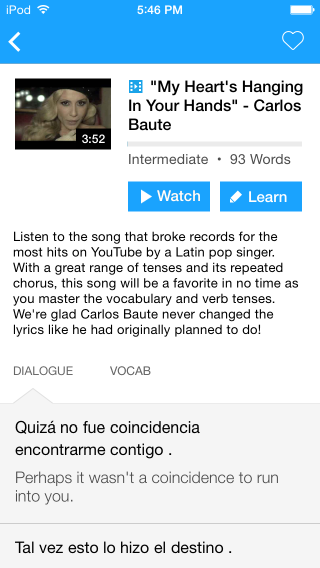 It uses that vocab to give you a 100% personalized experience by recommending videos and examples. 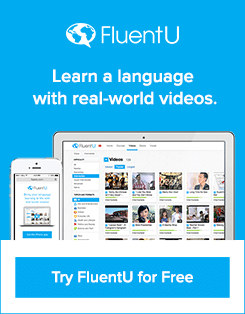 If you liked this post, something tells me that you'll love FluentU, the best way to learn languages with real-world videos. The Best Way to Learn a Language: Playing Games!